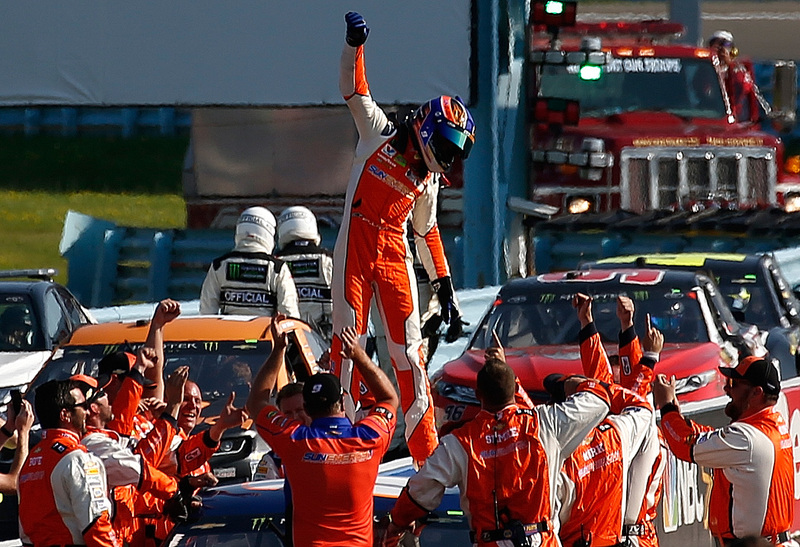 “Finally!” was a commonly-said phrase on Sunday evening following Chase Elliott’s first win in the Monster Energy NASCAR Cup Series, coming at Watkins Glen International in New York. 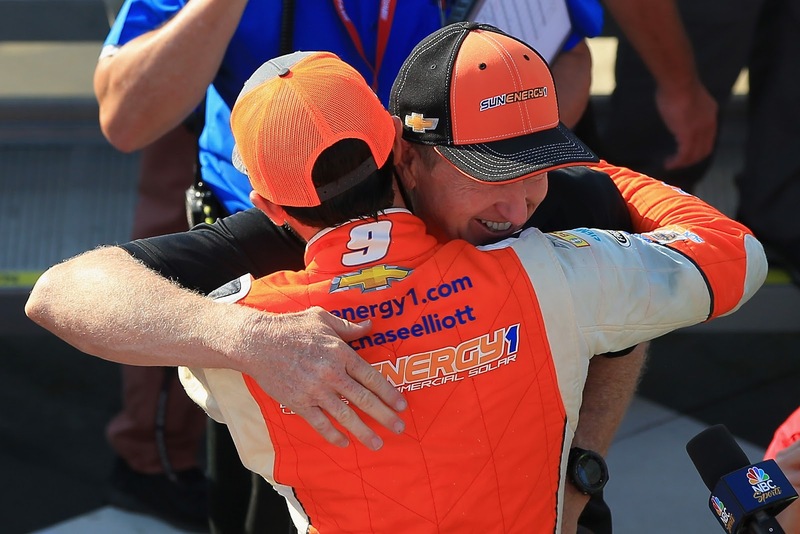 The win was special in many ways, for both the Elliott family and Hendrick Motorsports – here’s a quick rundown of its significance. Chase’s Cup Series career thus far has somewhat mirrored his father Bill’s Hall of Fame career: Bill’s first win – after eight second-place finishes – came 124 races into his Cup Series career; Chase’s first win – also after eight second-place finishes – came in 99 races…of course, “99” being significant since both he and his father won that first race in the No. 9. Also significant to the Elliotts: both father and son won their first races on road courses, Bill at the now-defunct Riverside International Raceway in California, Chase at The Glen. 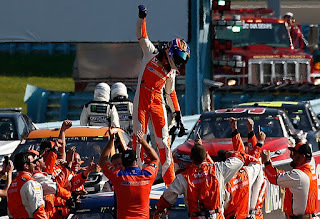 Chase also won his first top-tier NASCAR race on a road course, winning the Camping World Truck Series race at Canadian Tire Motorsport Park in Ontario, Canada in Sept. 2013. Bill’s only Xfinity Series win came at The Glen 25 years ago, in June 1993. This past weekend, Bill was serving as a spotter for his son at The Glen. For Hendrick Motorsports, Chase’s win marked the organization’s 250th win in the Cup Series. It also snapped a 37-race winless streak for the organization – the second-longest streak in Hendrick Motorsports’ history. The win also marked a very happy 43rd birthday for Chase’s crew chief, Alan Gustafson. Learn more about Chase Elliott at www.chaseelliott.com.